In my usual pursuit of landscape or architectural subjects, I often found myself treating people as an annoyance and an obstruction. 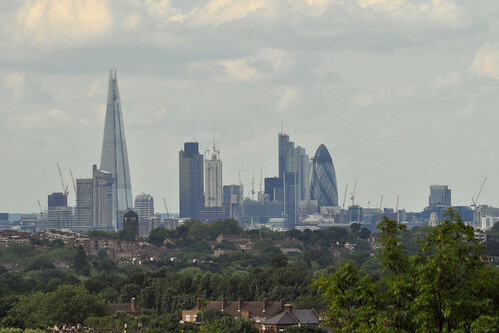 But a nagging sense that photographic abilities, or a photographic sense of style, which depended on the absence of people was not much cop, especially in London of all places, prompted me to set myself a challenge to make people the focus of my photos for a change. 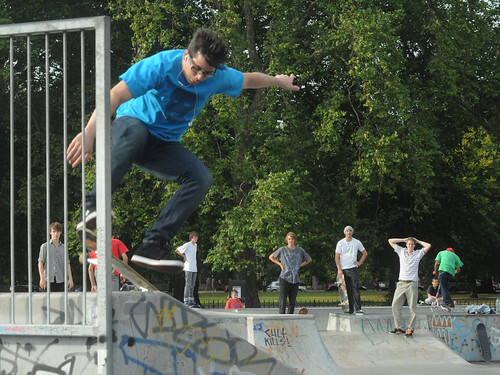 So it was that I headed off to Clapham Common, the first of two nearby skate parks on the afternoon's agenda.